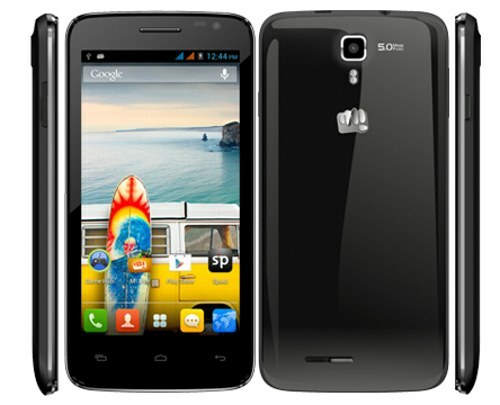 Micromax A177 Canvas Juice, the big brother of Micromax A77 Juice recently goes on sale from EBAY INDIA. It has became trend nowadays, the devices goes on sale before the official launch ( totally insane ). More or Less but its looks similar to BOLT smartphones. The A 117 Juice features a 5 inch 854 x 480 pixels FWVGA Screen, 5-megapixel shooter and 1GB of RAM. The A177 draws the strenth from 1.2 GHz dual core processor based on highly popular Mediatek MT6572 Chipset. The specs seems to be quite vigorous considering the price at which it comes. It supports DUAL SIM and runs on Android v4.2 OS. It is capable of playing 720P HD videos, no info on recording capabilities yet (might be the same). To make the device snappy ther is 1GB of RAM. There is 4GB of internal memory out of which 1.2GB is assigned for installing applications. The Micromax Canvas Juice A177 houses 3000-mAh battery, the same that you get in Gionee Gpad G2 ( check out our review and Unboxing ). The battery can last for 10hours 282 hours when in standby mode and offers 10 hours of talk time. The A177 Juice is priced at INR 8499 and it is available in Black color from ebay India. It would be launched officially next month.